Victor Orbán is taking Fortress Europe to new extremes. I was talking with Marua Surchi, a lanky veterinarian from Dohuk in Iraqi Kurdistan, outside of an abandoned supermarket on the Serbian-Croatian border. The derelict building with no electricity serves as a final stop for migrants in Serbia before crossing over into Hungary to seek asylum. A windowless room furnished with nothing more than blankets on a cement floor had been the Surchi family’s home for a month. 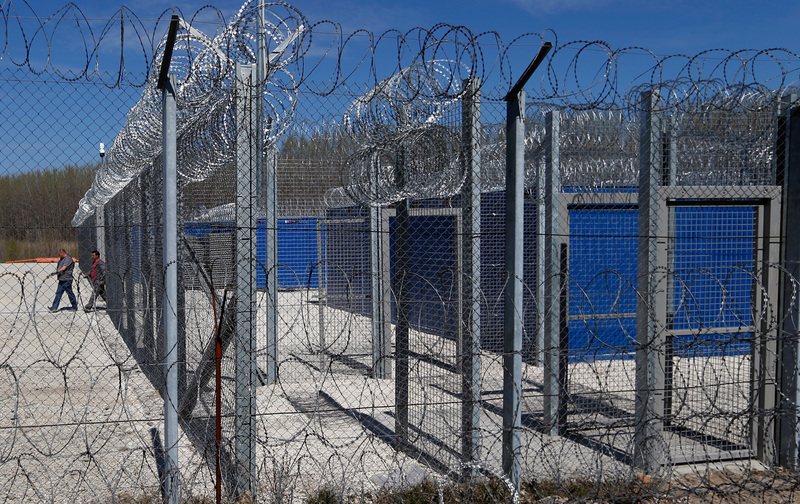 A few feet away, a tall border fence topped with coils of razor wire jutted out of the dirt. On the other side we could see a warren of shipping containers packed together side by side, each one covered in more razor wire. The complex is one of two new detention centers for asylum seekers in the Hungarian transit zone. “Sadly what we’re witnessing is a complete dismantling of refugee protection in Hungary,” says Pardavi. Orbán has accused the Helsinki Committee, which brought the infringement proceeding, of carrying out the political agenda of Hungarian-American George Soros’s Open Society Foundation, which partially funds them. In January, a leader of Fidesz, Orbán’s party, said it was time to “sweep out” the Helsinki Committee and other OSF-funded NGOs from the country. Hungary today hosts only about 400 asylum seekers, a striking example of how strong anti-immigrant views often flourish in places with few actual migrants. “You don’t need migrants, you need anti-migration sentiment,” Toth says. Back at the abandoned supermarket with Marua, I also met Mustafa Akram, who fled Bagdad with his wife and five children after a militia group kidnapped one of them from school. Like the Surchi family, they were all living in one room of the former store, waiting for their turn to get into Hungary. Jeanne CarstensenJeanne Carstensen has reported on the refugee crisis for PRI’s The World, Foreign Policy, and other publications. Her work is supported by the Pulitzer Center for Crisis Reporting.